“Stargate” alum stars in new Red Giant film “Hewlogram” as holographic 1980s TV superhero appearing in modern day New York City. I couldn't believe that what were essentially product showcases had stuck with me as works of art unto themselves, unlike most of the VFX-driven shorts I'd seen. I geeked out and tweeted about loving everything they were doing. ...after geeking out together, we decided to collaborate on a short. Red Giant today released “Hewlogram,” the newest Red Giant film starring David Hewlett, best known for his role as Dr. Rodney McKay in “Stargate: Atlantis.” The new film comes out alongside the release of Red Giant Universe 2.2, the latest update to Red Giant’s ever-expanding collection of GPU-accelerated plugins for editors and motion graphics artists. Known for fun and clever short films that manage to entertain while showing off Red Giant visual effects and motion graphics tools, Red Giant’s newest film is no different from classics like “Old/New” and “Plot Device.” Written and directed by Aharon Rabinowitz, in his directorial debut, “Hewlogram” was born out of both Aharon’s love for holograms and David Hewlett’s love of visual effects tutorials. Hewlett, who is part of the all-star cast of Guillermo Del Toro’s forthcoming film, “The Shape of Water,” discovered Red Giant software through a bit of internet sleuthing. Watch the Making of Hewlogram. “Hewlogram” also includes an appearance by Chuck Wagner, who played the title character in Automan, the 80s sci-fi TV series that inspired Aharon's obsession with holograms. 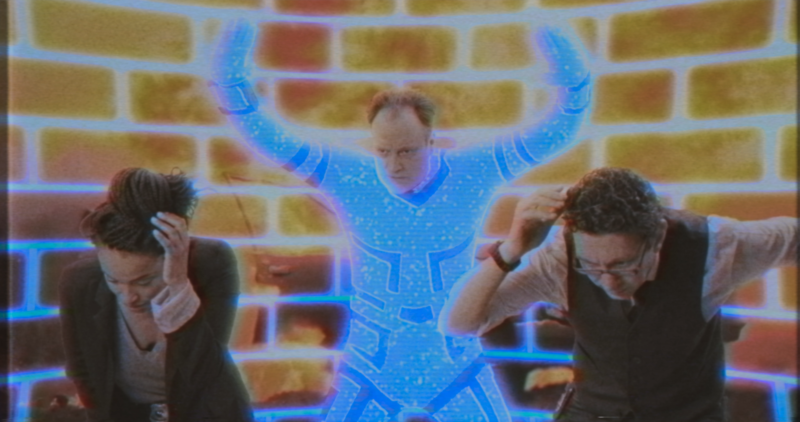 “Hewlogram,” which was created to showcase tools from Red Giant Universe, tells the story of a current day animator who accidentally brings to life a 1980s holographic TV superhero. The idea behind the film was to create a film that felt truly authentic to the Saturday night sci-fi action dramas of the 80s Aharon watched as a kid. 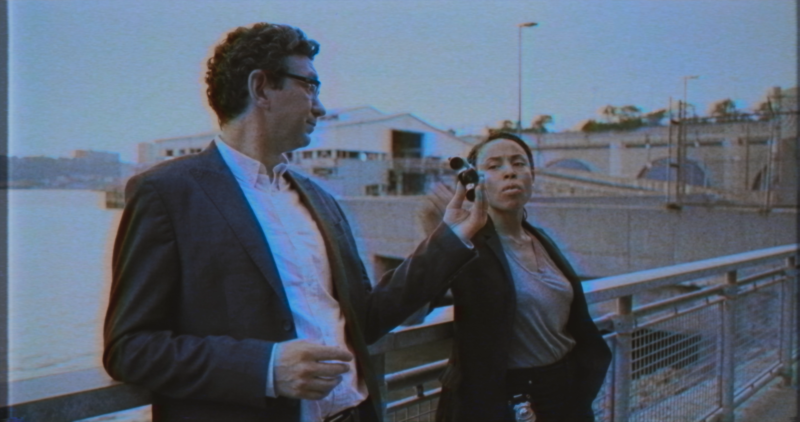 Using Universe stylization effects, such as VHS and Retrograde, as well as Magic Bullet Colorista IV, Aharon created a process for emulating an authentic 80s look. He relied heavily on the robust Universe toolset. 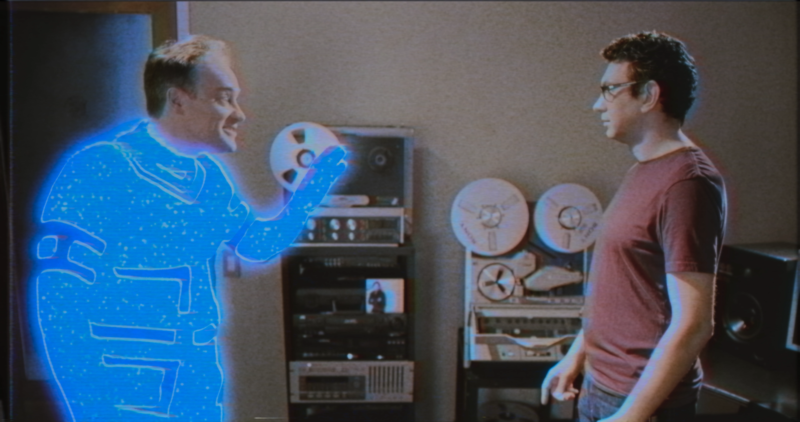 In all, the Red Giant Films team used Magic Bullet Suite in Adobe® Premiere® Pro CC for color correction, PluralEyes for AV sync, Red Giant Keying Suite in Adobe® After Effects® CC for keying and compositing – crucial to create David’s holographic suit – and Trapcode Suite for the visual effects. Along with “Hewlogram,” Red Giant has released a bevy of new transitions in Universe 2.2, making it possible for filmmakers, editors and motion graphics artists to apply unique looks to their own works of art. The update includes 11 new transitions – including classic 80s aberrations and transitions like RGB channel blurs and clock wipe – bringing Universe to a total of 76 tools. Universe 2.2 also features updates to two existing effects, VHS and Retrograde, which were both used heavily in “Hewlogram,” and support for Avid Media Composer. Red Giant Universe has been used on “Saturday Night Live,” “Portlandia,” “Documentary Now,” “Kung Fury,” and much more. Universe is available as an annual subscription ($99/year) or as a monthly subscription ($20/month). New Red Giant Universe customers can purchase a subscription or download a free trial at http://redgiant.com/universe. To learn more about Red Giant products, please visit http://www.redgiant.com/products/. Red Giant Universe is available in Red Giant’s Volume Program, the flexible and affordable solution for customers who need 5 or more floating licenses. Learn more at redgiant.com/volume/. Red Pledge is Red Giant’s commitment to customer happiness, with no purchasing hassles. Learn about the Red Pledge guarantee at http://www.redgiant.com/redpledge/. Members of the media are invited to speak with Aharon Rabinowitz or any member of the Red Giant Film team, or review any products or suites from Red Giant. For more information or to request an interview or product review kit, please contact Alexis Isaacs at alexis(at)zazilmediagroup(dot)com. Red Giant is a software company made up of talented artists and technologists who collaborate to create unique tools for filmmakers, editors, VFX artists, and motion designers. Our company culture is focused on finding balance between work and life – we call it “the double bottom line” – this philosophy helps us ignore complexity in favor of building simple tools that yield giant results. Over the last decade, our products (like Magic Bullet, Trapcode, Universe and PluralEyes) have become the standard in film and broadcast post-production. With over 200,000 users, it’s nearly impossible to watch 20 minutes of TV without seeing our software in use. From our experiences as artists and filmmakers, we aspire to not only provide tools for artists, but inspiration as well. Watch our films, learn from over 200 free tutorials, or try our software at http://www.redgiant.com.